This brief introduction to the history of ethics engages readers in a compelling, refreshing study of the question, "Why be moral?" 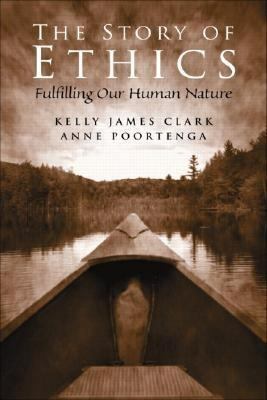 Kelly James Clark and Anne Poortenga situate the study of ethics within the context of more fundamental questions: "What kind of persons are human beings?" and "What kind of life should we live to fulfill ourselves as persons?" Clark and Poortenga trace the philosophic history of how these questions have been answered, beginning with Plato and Aristotle and extending to contemporary thinkers, such as Carol Gilligan, Alasdair MacIntyre, and Richard Rorty. Features of The Story of Ethics: Engaging writing style Historical overviews of major ethical theories Focused attention on key ethical theorists, including Aristotle, Aquinas, Hume, Mill, and Nietzsche, among others Written as a coherent whole, which nevertheless can be broken into separate, easily assignable sections.Clark, Kelly James is the author of 'Story of Ethics Fulfilling Our Human Nature', published 2002 under ISBN 9780130978400 and ISBN 013097840X.